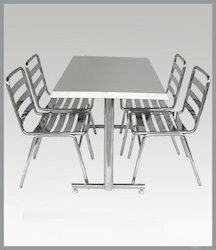 Manufacturer of a wide range of products which include dining chairs and stainless steel chair. Keddy Concept has emerged as one of the most prominent names in the industry engaged in manufacturing and trading a wide range of Dining Chairs. Our range is designed by an experienced team of professionals, who have in-depth knowledge about the industrial standards. These chairs are known for their high comfort and durability. We offer these chairs in different designs, patterns and dimensions as per the requirement and demands of our clients. Object incorporated devises stainless steel furniture of stainless steel chair completed by stainless steel frame and lounge chair cushions called baba lounger. Suede cushions of lounge chair cushions of this tube chair offers comfortable sitting. 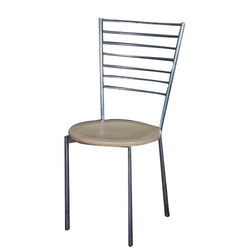 Stainless steel frame gives strong tube chair of stainless steel furniture.